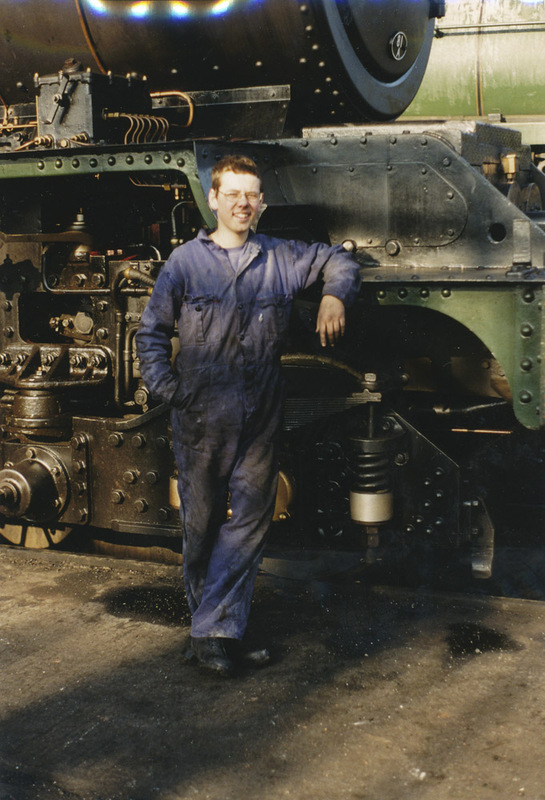 So far 6024-Martyn-Editor has created 16 blog entries. 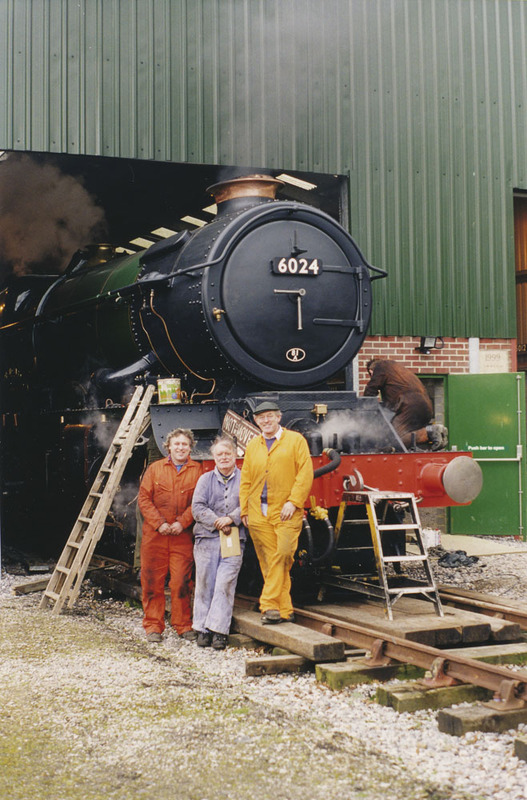 A reminder to members that the 6024 Preservation Society AGM will be at 14:00 on Saturday 18th May. 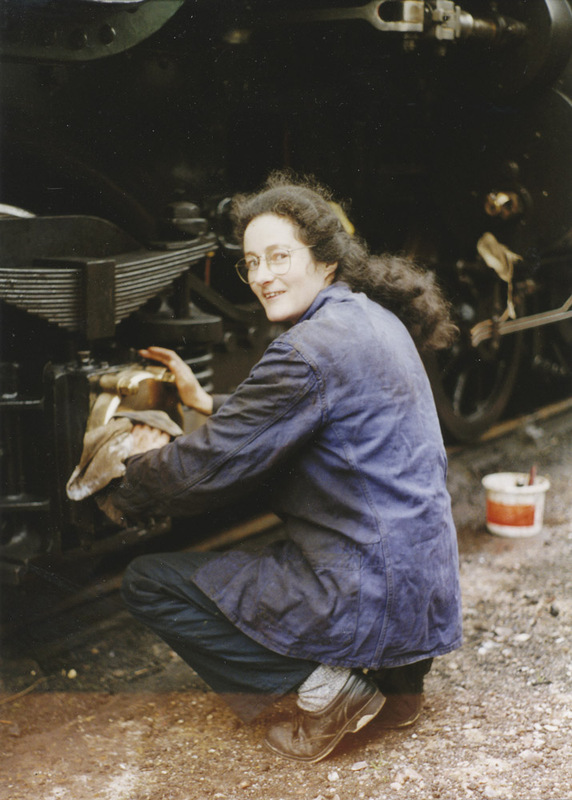 This year the AGM returns to the Railway Museum at the Severn Valley Railway’s Kidderminster station. The formal notice of the AGM and associated papers will be sent to members in the next couple of weeks. 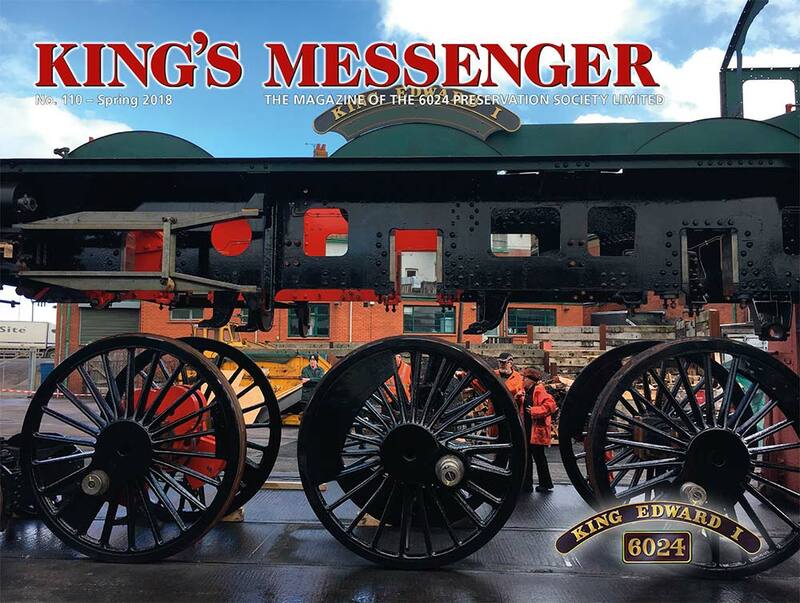 All 2018 published King’s Messengers are now available with the members area. Click here to go to directly to the page. 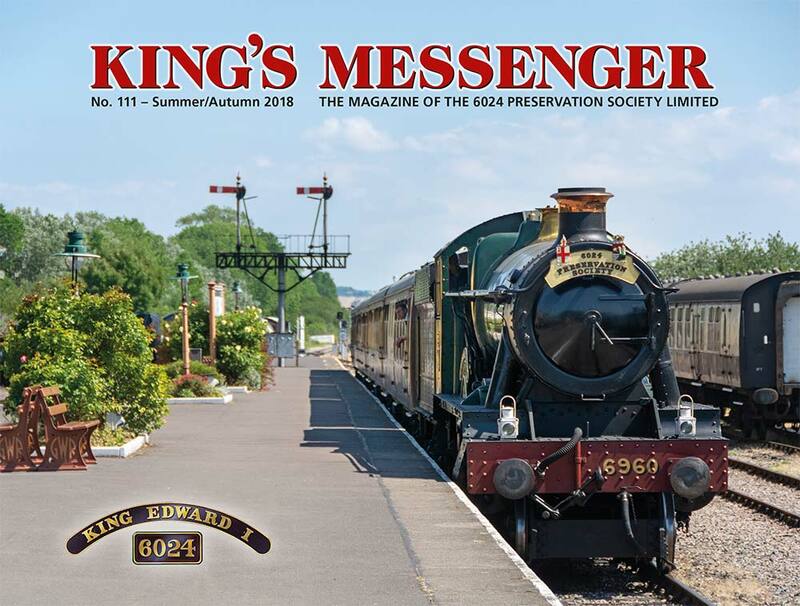 The latest edition (no.112 Winter 2019) will be published here once it has been superseded by issue no. 113. Album number seven from the Bob Robson collection has now been added to the Photographs page on this website. 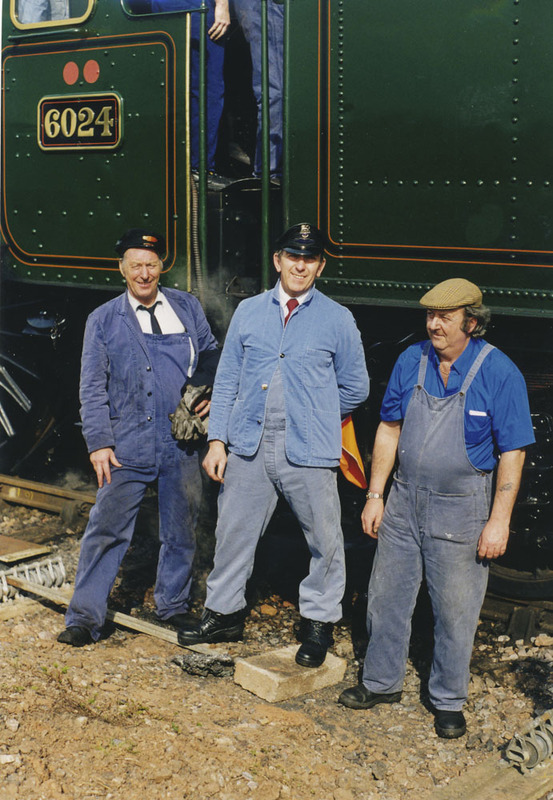 This selection of Bob’s photos covers the 2000-2002 period. We hope you continue enjoy this unique record of No. 6024’s life. In total there are nine of Bob’s albums to be published, more will follow very soon. Album number seven can be found here. 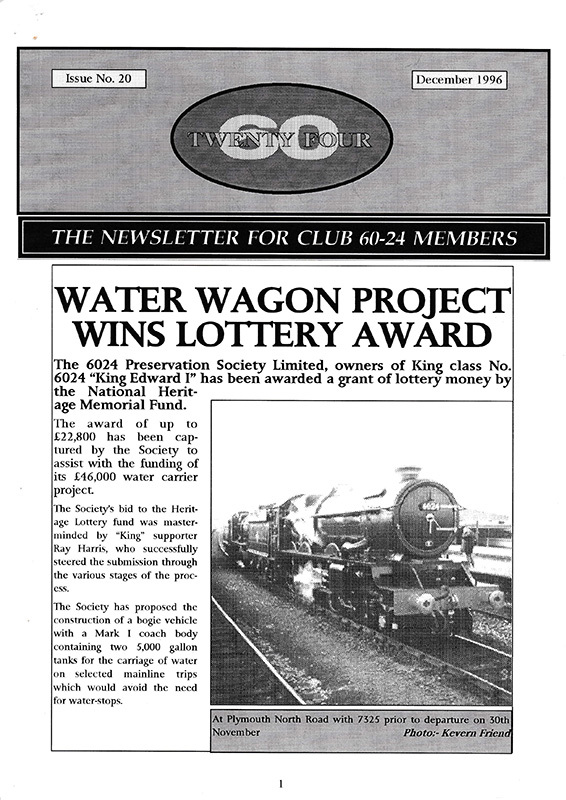 Club 60-24 Newsletters Nos. 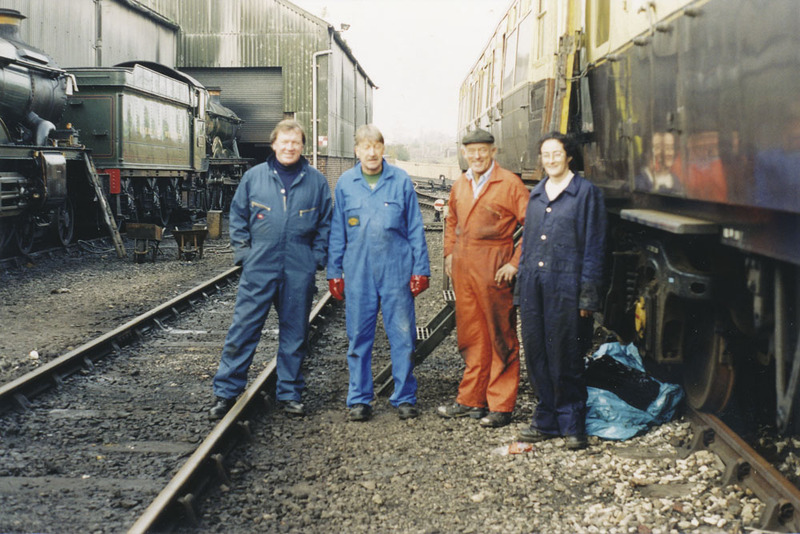 11-20, covering the period October 1994 to December 1996 have been added to the members area of this site. They make fascinating reading, we hope you enjoy remembering what has been done in the past or perhaps reading about it all for the first time. Our thanks to Tony Jackson for scanning the back issues. More issues will follow soon. 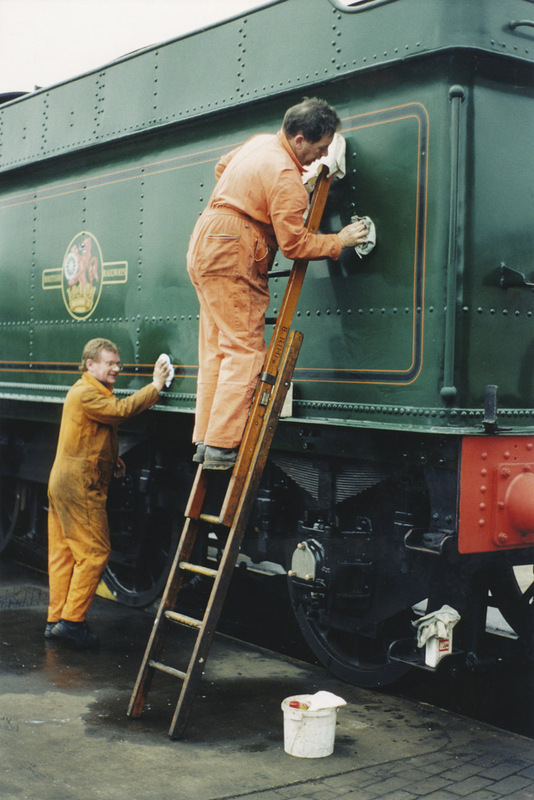 Bottom 6″ of bodysides renewed. Guttering removed, repaired and fully sealed on fitting. End pillars inspected (all in good order). 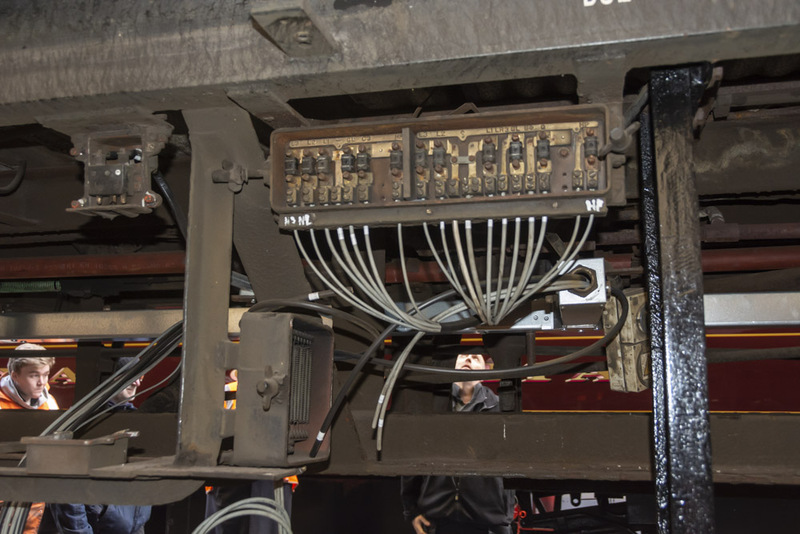 24V provision for connection to the locomotive. New end to end steam heat pipe. 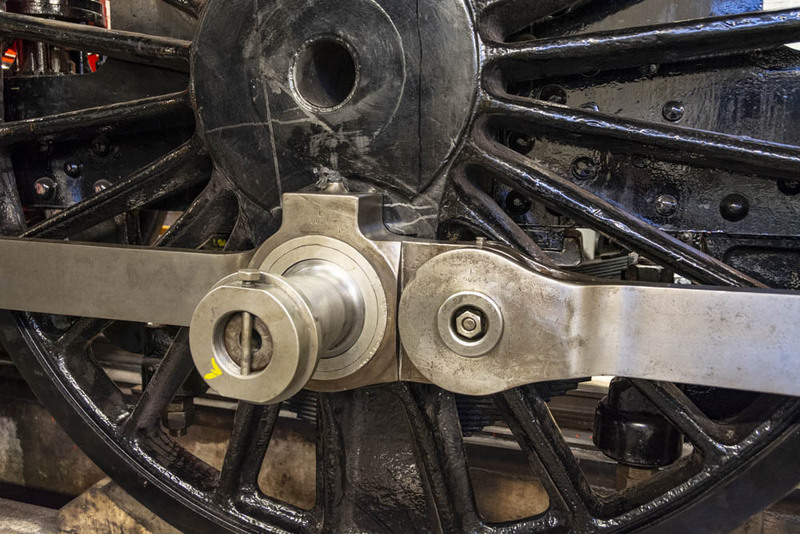 Bogie and wheelset work (on-going). 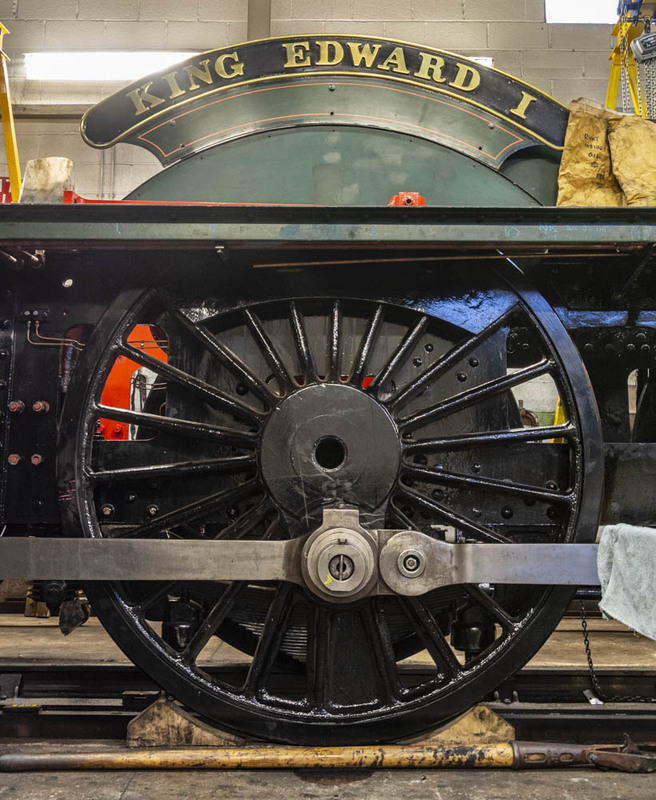 A few tasks, the biggest surrounding the bogies and wheelsets, remain to be completed before the coach can be lowered from the high stands it is currently positioned on. 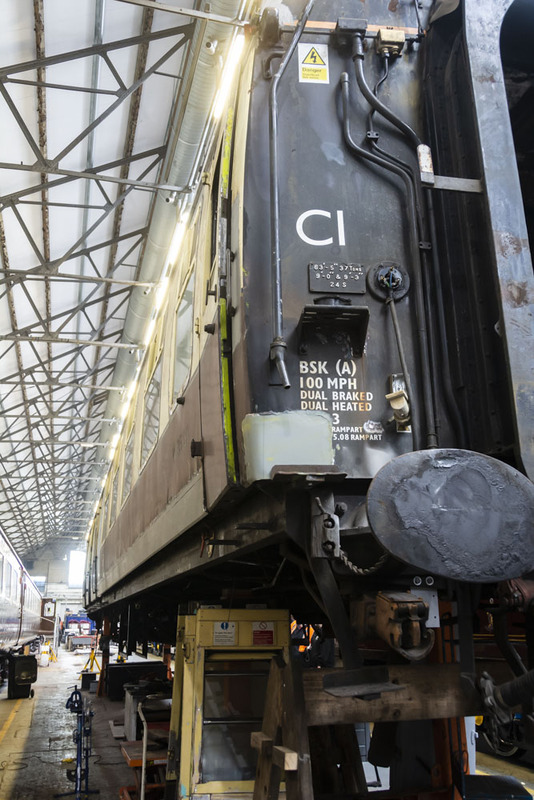 This will allow the body and roof to be prepared for painting and a myriad of smaller jobs to be completed. Album number six from the Bob Robson collection has now been added to the Photographs page on this website. 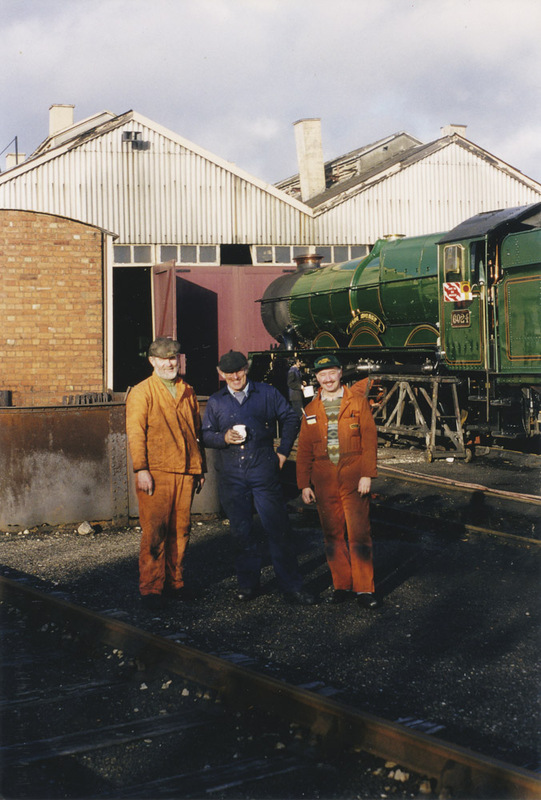 This selection of Bob’s photos covers the the late 1990s and early 2000s. We hope you continue enjoy this unique record of No. 6024’s life. Gallery number six can be found here. 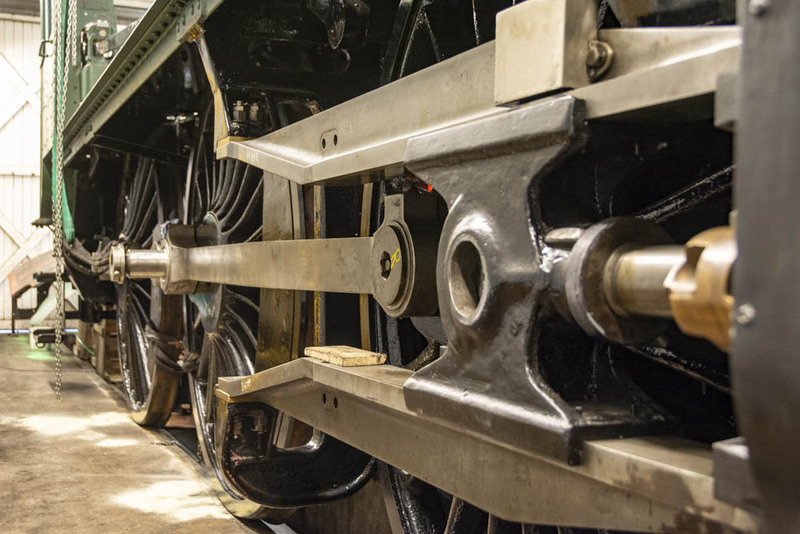 The last couple of working parties of 2018 have seen some significant progress made with some very visible items on the engine’s chassis. 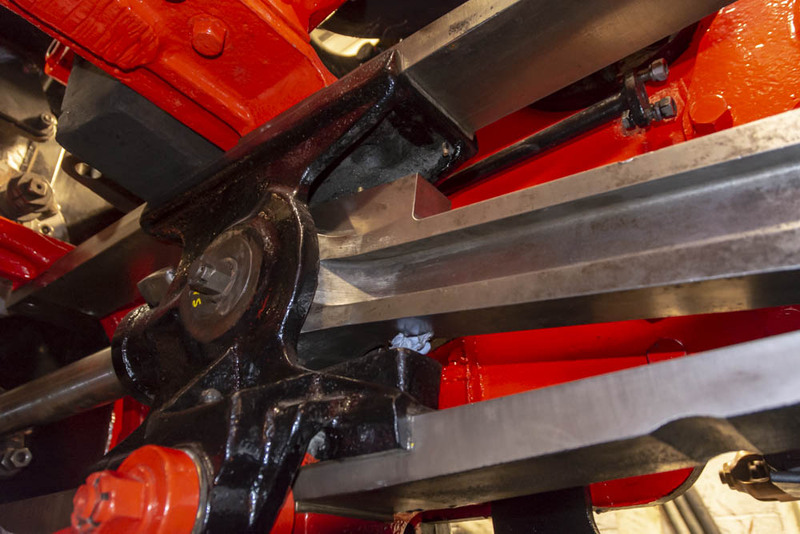 The inside right connecting rod has been installed whilst both sets of coupling rods (left and right) have been trial fitted. 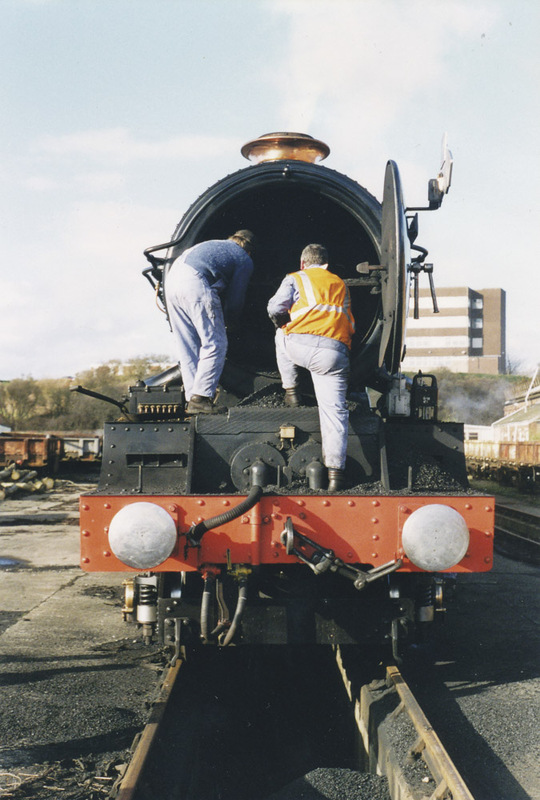 These require very little further work to see them fitted more permanently. 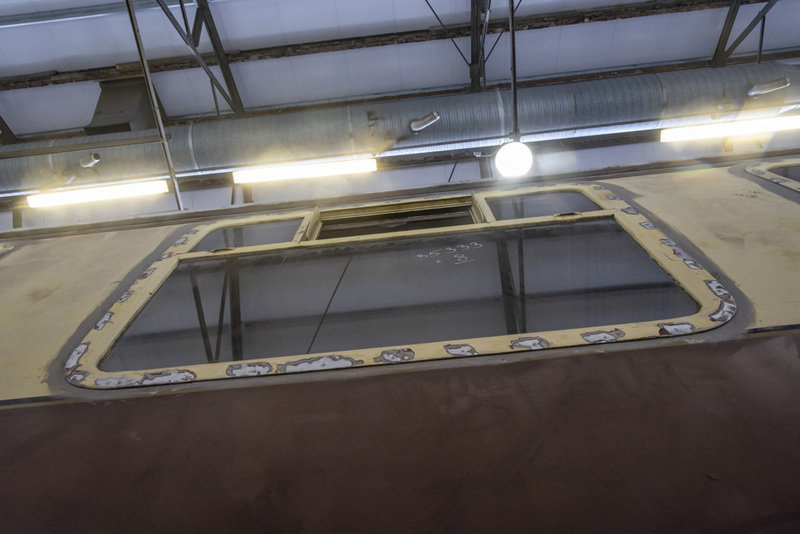 All the components for the inside left connecting rod have been prepped for fitting, the actual fitting being paused until the new air brake pipes running down the inside of the frame had been finished. 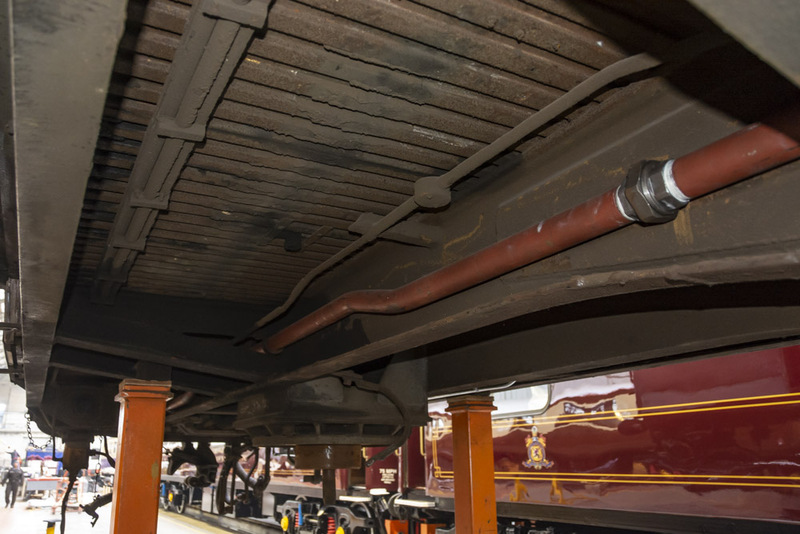 This has been achieved allowing the connecting rod to be fitted early in 2019. 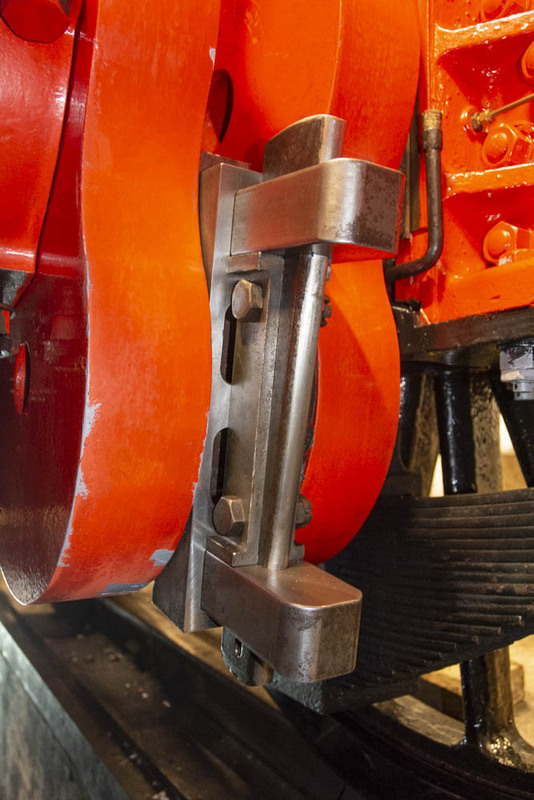 Rapid progress on the outside connecting rods is expected through January. 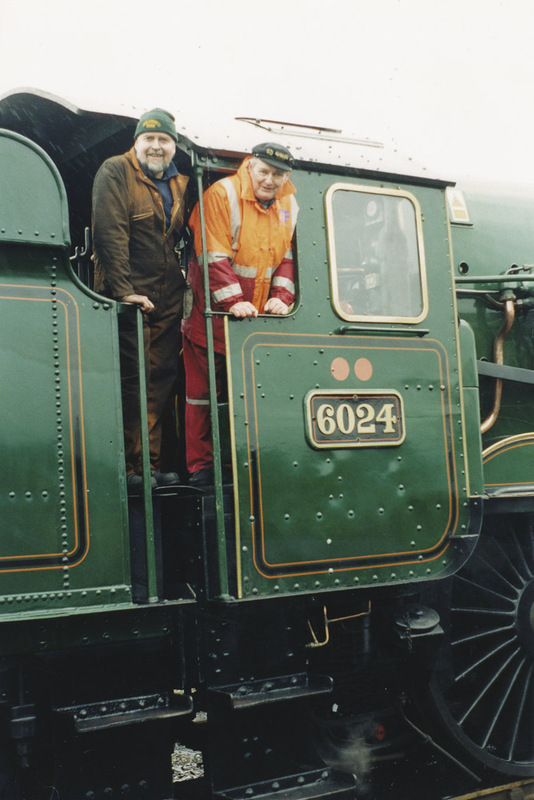 In early December Eddie Draper of Ricardo Rail visited both the tender and the engine as part of their periodic checks on progress. 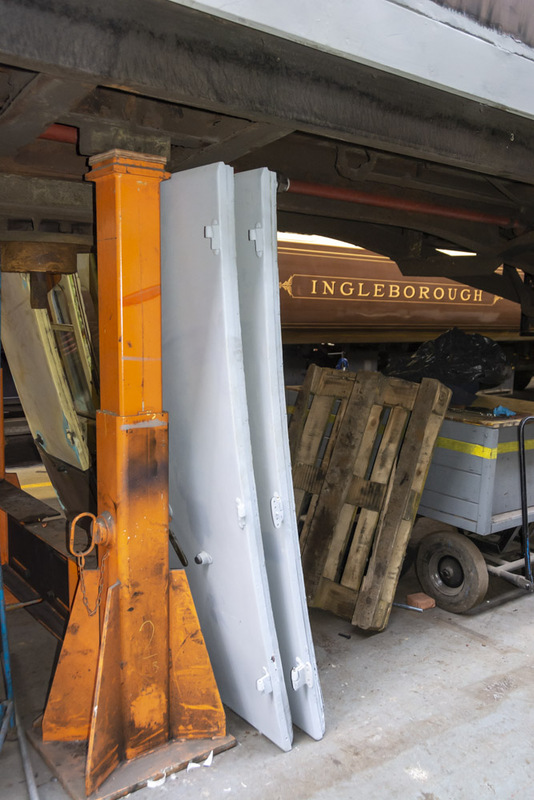 This successful visit means that in early 2019 the tender tank can be reunited with the chassis taking it much closer to completion. 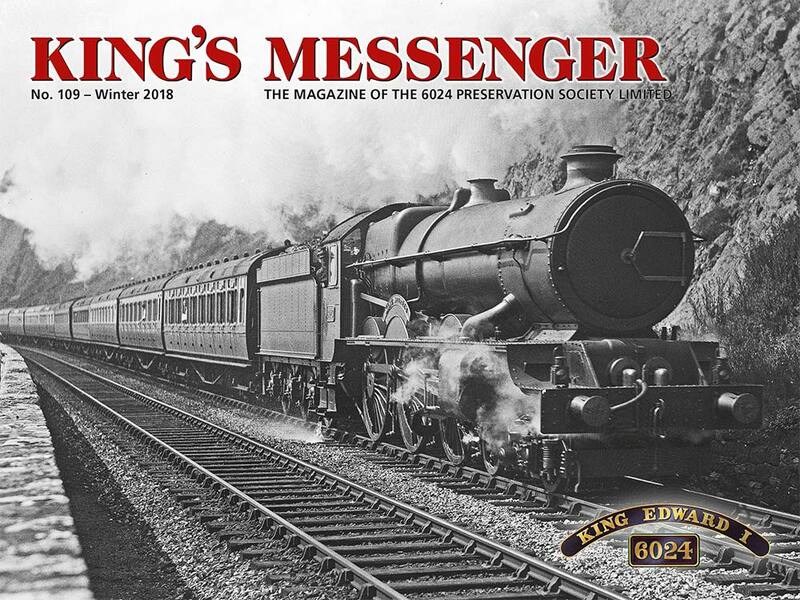 The first batch of archive Club 60-24 Newsletters – Numbers 1 to 10 – have now been added to the Newsletters page of the Club 60-24 Members area. They can be found here. These are in additional to the current Newsletter, No.73, which has also be added. 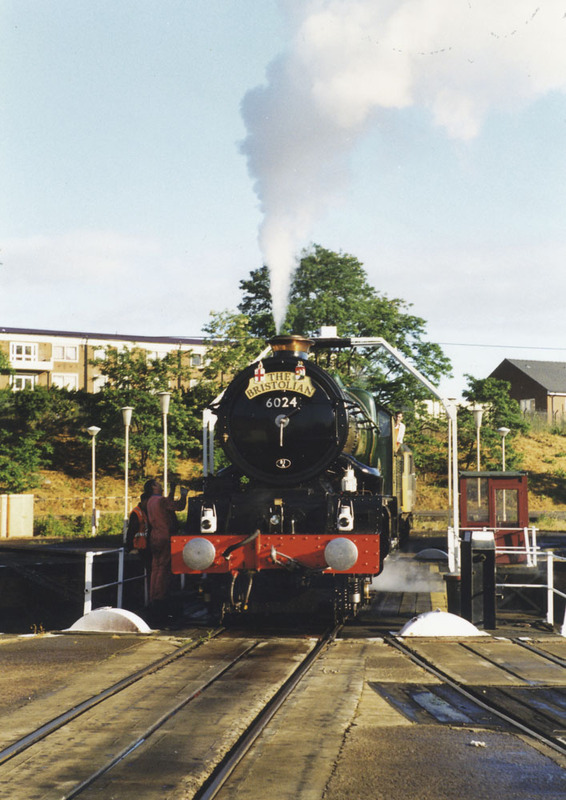 The archive Newsletters cover the period April 1991 to June 1994, highlighting just how long 6024 has been operated by the society. 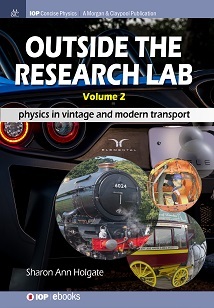 They make fascinating reading, we hope you enjoy remembering what has been done in the past or perhaps reading about it all for the first time.